Desperate to avoid 'bubble-dancing', join the 'dromestoners' or eat a nice 'tiddly oggy'? Baffled? 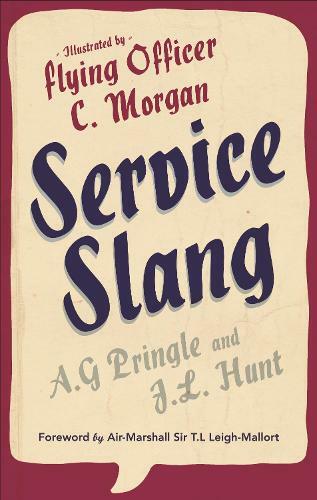 Well, pull yourself out of the 'aspargus bed' and dip into Service Slang to find out what these expressions and many more mean. First published in 1943, this is a facsimile reissue, complete with the original witty illustrations. You would be a 'sad apple' to call it a dictionary, it is more a light-hearted survey of expressions prevalent in the Army, Navy and R.A.F. during the Second World War. 'Chocks away' and 'draw your pint'.